Of course, the insects are dispelled. In the Middle Ages, the thyme women gave to the knights and warriors who went to battle because they thought that he gave courage to the one he was wearing. During the same period, thyme often laid beneath a pillow for a quiet sleep and as a protection against nightmares. 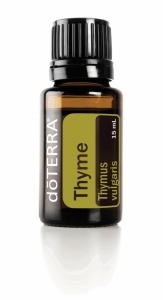 The ancient Greeks used thyme in baths and as incense in the temples, while the Egyptians used it in ritual rituals. Today, thyme is usually used as a spice, and it also produces strong essential oil that has a cleansing effect on the skin. 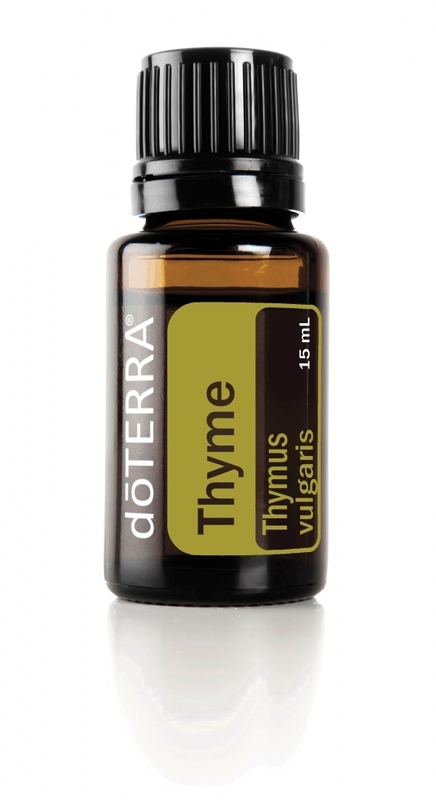 Due to the high content of timol, the essential oil of thyme must be diluted with doTERRA before coconut oil on coconut oil. Because of its specific chemical composition, Tymosync supports the healthy functioning of the immune system *. Diluted with fractionated coconut oil, apply to the skin for cleansing effect and healthy skin appearance.